The team at Trademark Angel strives to make the trademark registration process as cost- and time-efficient and smooth as possible. For this reason, we offer to conduct a free trademark search for your proposed mark to give you an idea of how registrable your mark is in the country/countries you’d like to file. We have talked extensively about benefits of doing an initial trademark search in other articles. In short, failing to search for similar marks prior to registration is quite risky and can result in additional business expenses that could have been avoided. For example, we have aided several clients who came to us after starting the process themselves, without conducting a thorough trademark search. These clients had already paid for products or packaging that displayed a mark that ultimately could not be registered as there were registered marks that were too similar to our clients’. These products and/or their packaging then had to be completely re-branded at great expense. This could have easily been avoided by an initial trademark search. For more information about trademark searches, feel free to check out this article: Why conduct a trademark search? If the search results are positive and the mark looks registrable, we can start preparing your trademark application. If you are already selling your goods or offering your services in the US, you can file for those goods and/or services under “actual use.” To prove your claim of actual use, you will need to provide what is called a specimen – in other words, an unedited photograph – which clearly shows your mark on the goods and/or services or the product packaging. A specimen is required for each class of goods/services you file for. In addition, you will need to provide the date of your first out-of-state sale if you are a U.S. citizen, or the date of your first sale in the U.S. if you are a non-U.S. citizen. If you are filing for goods and/or services you plan to sell in the near future, you will file for those goods and/or services under “intent to use.” After your application has received a “Notice of Allowance” (see below), you will be required to file a Statement of Use attesting to the fact that you have started using your mark on all of the goods and/or services listed in your application. To read what’s required in order to file a trademark application, please check this post: What’s required in order to file a trademark application in the US? To read more about specimens of use and what specimens are acceptable, please check these posts: What is use in commerce (in the US)?, What is a specimen of use?, When do you need to submit specimens of use?, How do I find an acceptable specimen of use? The cost to file an application in the US depends on how many classes you would like to include in your application. The government filing fee is $275 per class, and is NOT included in our packages. Next, your application will be filed with the USPTO and we will email you a confirmation of the filing. At this time, you will also receive a trademark application number. You can check the status of your application at any time on the USPTO website with this application serial number. Please note, we cannot change the mark that you register for, or the goods listed in your application once you file. For this reason, the goods listed in your application must be an accurate description of your actual products. We will always send you a draft of how your application will be submitted and ask that you approve the draft prior to submission. We ask that you provide us with clarifications regarding your products if the descriptions we list are not accurate. Approximately three to four months after your application is filed, the application will be assigned to an Examining Attorney at the USPTO. This Examining Attorney will make decisions whether your application can move on to the next step of the process. If the Examining Attorney finds that changes must be made to your application (for example, the description of your logo must be amended to be more clear, or to clarify certain goods and/or services included in your application), or that your mark is confusingly similar to another prior-filed mark or registered mark, an office action will be issued. A response to the office action must be filed within 6 months of the date on which the office action has been emailed. The failure to respond to all of the changes required by the Examining Attorney will be considered an “incomplete” response and may jeopardize your application. To read more about different types of office actions, please check out this article: What are office actions? After office actions have been responded to and all outstanding issues have been resolved, the Examining Attorney will approve your mark for publication in the Official Gazette. This does not mean that your trademark has registered; rather, your mark will be published for potential third parties to oppose your mark if they believe your mark conflicts with one of their own marks. Receiving an opposition is quite rare, but if this does occur, we will happily refer you to an attorney with extensive experience in this field. If no oppositions are filed against your mark within the 30-day publication period, your mark will proceed to the next step in the registration process. A Notice of Allowance indicates that your mark has been approved to proceed to registration pending the filing of a Statement of Use. The deadline to file this Statement of Use is six months from the mailing date of the Notice of Allowance. Your mark is being used in commerce. Specimens – in other words, unedited photographs – of your product which clearly show the product and your mark on the product or the product packaging. You must provide at least one specimen per class listed in your application. The date of your first out-of-state sale if you are a U.S. citizen, or the date of your first sale in the U.S. if you are a non-U.S. citizen. If you listed any services on your application, the relevant date would be the first date you offered those services. To read more about Statement of Use, please check this article: What is a Statement of Use in a trademark application? The government fee to file a Statement of Use is $100 per class, per mark. In addition, if, for any reasons, you cannot file a Statement of Use within the six-month period following the issuance of the Notice of Allowance, you must file for an extension. Up to five extensions of six months each, can be obtained for any one mark. The government filing fee for an extension is $125 per class, per mark. If you filed your application based on “actual use,” and your mark has not been opposed by any parties, you will receive a registration certificate with a new registration number for your mark approximately six weeks after the end of the opposition period. If you filed your application based on “intent to use,” and you have filed a Statement of Use, and that Statement of Use has been accepted by the USPTO, your mark will proceed to registration. A registration certificate, with a new registration number for your mark, will issue approximately four to eight weeks after your Statement of Use has been accepted. The whole process takes 8 months to over 2 years! After your mark has been registered, you must “maintain” your mark to keep it active. Other than continuing to use your mark on all of the goods listed in your application, you must also file a Section 8 declaration between the 5th and 6th year after your mark has registered. You may want to also consider filing a Section 15 declaration at this time, although it is not required. Finally, you must file another Section 9 declaration to renew your trademark between the 9th and 10th years after your mark has been registered. To read more about Section 8 and Section 15 declarations, please check out this article: What is a Section 8 Affidavit of Use? It is important to use your trademark properly in order not to invalidate it. Please check these posts and cartoons on the topic: How do I lose my trademark protection? The government filing fee to file a Section 8 declaration is $125 per class. The government filing fee to file a Section 15 declaration is $200 per class. The government fee to file a Section 9 renewal declaration is $300 per class. As the trademark registration process in the U.S. can take over a year, we strongly suggest that you consider filing for your mark sooner rather than later. There have been instances where a client has waited to file for a mark until it was in “actual use,” and during that time, a competitor had filed for a similar mark. This forced our client to file for a different mark and to order new packaging reflecting this new mark. For more information about registering your trademark, please take a look around our site, particularly the FAQ section. If you’re ready to file for your mark and begin the trademarking process, we are available via chat and email and look forward to working with you to protect your brand. Are geographically descriptive marks registrable in Australia? It is generally difficult to register geographical names as trademarks in Australia, particularly where these geographical words have an obvious connection with the goods or services being trademarked. For example, the word MAATSUYKER describes a series of small uninhabited islands off the coast of Tasmania. The trademark office has previously rejected an application for the trademark MAATSUYKER in relation to Seafood (class 29) but accepted the trademark MAATSUYKER in relation to Clothing (class 25). The reasoning is simple, there is an obvious connection between the geographical islands and the fishing industry, thus it is possible that other fishing operators might need to use the word MAATSUYKER to describe their goods. By contrast, it is highly unlikely that there will be many clothing manufacturers on these uninhabited islands who need to use the word MAATSUYKER to describe their goods. To open in a new tab, click: Are geographically descriptive marks registrable in Australia? What is considered a merely descriptive trademark in Australia and are they registrable? In Australia a merely descriptive trademark is one that has no “adaptation to distinguish” your goods and services from those of other businesses. Some examples of such “merely descriptive” trademarks include words which are used for the normal description of the goods or services. An example of this is the word “GIANT” in relation to hamburgers, which was held to be a word that was merely descriptive as it was likely to be used by other restaurants in the description of their hamburgers. You can get more details about descriptive marks here. To open in a new tab, click: What is considered a merely descriptive trademark in Australia and are they registrable? Can surnames or full names be registered as trademarks in Australia? Both surnames and full names are able to be registered as trademarks in Australia, but you may face difficulties. For example if your surname is very common (like “Smith”) or if it has multiple meanings (like “Green”), your trademark may be rejected. To open in a new tab, click: Can surnames or full names be registered as trademarks in Australia? Is it a good idea to file a multi-class trademark application? Given that Australia does not require proof of Intent-To-Use prior to accepting trademark applications, the filing of multi-class trademarks is a much simpler and less risky proposition than in other countries. The only major pit-fall of multi-class trademark applications in Australia is that you only have three years after the filing of the trademark to begin using it. If you make a multi-class application in classes which you have no intent to use, you may eventually face challenges to your trademark in those classes. To open in a new tab, click: Is it a good idea to file a multi-class trademark application? Can an Australian trademark be divided? Yes, divisional applications are possible at any stage whilst your trademark is pending. A divisional application will share the same priority date as your initial “parent” application. To open in a new tab, click: Can an Australian trademark be divided? What is the trademark classification system in Australia? How is it different? Australia uses the international trademark classification system, just like the EU or the US. To open in a new tab, click: What is the trademark classification system in Australia? How is it different? Why should I bother registering my trademark in Australia? With an affluent population and good business conditions, Australia is an attractive market for expansion of your business. Registering your trademark in Australia is a vital step in preparing for your entry into the Australian market. If you believe that you may want to reach customers in Australia at any stage in the future, it is worth registering your trademark today. Australia is also a vital gateway to China, with its close proximity to major Chinese markets and the historic China/Australia free-trade agreement offering unparalleled opportunities to smart entrepreneurs. To open in a new tab, click: Why should I bother registering my trademark in Australia? Can priority be claimed in my Australian trademark from an earlier filed application? Yes, it’s possible to claim priority in your Australian trademark if you have filed an application for a trademark in another country within the past six months. Please have a look at our cartoon about priority claim here. To open in a new tab, click: Can priority be claimed in my Australian trademark from an earlier filed application? What are considered absolute grounds for trademark refusal? Make sure you watch our video how to select a great trademark. To open in a new tab, click: What are considered absolute grounds for trademark refusal? While our main business model is to offer flat-fee registration packages that take care of the registration process from start to finish, we can also help you if you filed your trademark application yourself or through another company. So if you received an objection or need help with your trademark application that’s already filed, we can help too! If you are not sure if we can help you, ask us. To open in a new tab, click: Can you help me to respond to an office action? Can you help me file a Statement of Use? What is the difference between a UK and EU trademark? A UK trademark only protects you in the UK, which consists of England, Scotland, Wales and Northern Ireland. There is no protection outside of the UK. A UK trademark is filed in the UK Intellectual Property Office (UKIPO). A trademark filed in the EU Intellectual Property Office (EUIPO) is called an EU trademark (formerly known as a CTM (Community) trademark). EU trademark protects you in the 28-member countries of the EU making it a very strong trademark. Current EU countries are: Austria, Belgium, Bulgaria, Croatia, Republic of Cyprus, Czech Republic, Denmark, Estonia, Finland, France, Germany, Greece, Hungary, Ireland, Italy, Latvia, Lithuania, Luxembourg, Malta, Netherlands, Poland, Portugal, Romania, Slovakia, Slovenia, Spain, Sweden and the UK. To open in a new tab, click: What is the difference between a UK and EU trademark? Once you have submitted a search request and we confirmed it, we need about two business days to have the search results and search report ready. If you need it faster than that, please indicate and we’ll do our best to accommodate your request. Once you have purchased a trademark registration package from our website or paid our invoice, we will get back to you within two business days (either asking for additional information or preparing a trademark application for your review). Once your trademark application has been finalized and you approved it for filing, we will aim to submit it within two business days or less. Once we received news from the relevant Trademarks Office, we try to report simple updates within one week. If it’s a substantive refusal, we may take as long as two-three weeks to report as we often do some preliminary research to provide guidance and suggestions how to overcome the refusal. To open in a new tab, click: How soon will you get back to me about my trademark? Who can file a trademark opposition in the EU? The opposition procedure can only be started by a party who is the owner or licensee of an earlier trademark. An opposition can be filed against a trademark filed in the EU Intellectual Property Office, or against an international application designating the EU. To open in a new tab, click: Who can file a trademark opposition in the EU? Why is it important to monitor newly filed trademarks in the EU and the UK? Trademarks Office in the EU and the UK will not refuse your trademark if there is a prior filed or previously registered similar trademark. Instead the Trademarks Office in the EU and the UK only looks at absolute grounds (i.e. if the mark is deception or descriptive, it may be refused). However, if there is a similar trademark, it will not be refused by the Trademarks Office. Instead, owners of similar trademarks may oppose during the 3-month opposition window in the EU and during the 2 month opposition period in the UK. One of the main reasons one may file an opposition is confusion with an earlier trademark. Opposition proceedings offer an owner of an earlier trademark the right to oppose the registration of a trademark that could endanger his/her business. By monitoring the EU Intellectual Property Office database or the UK Intellectual Property Database, you will ensure that you will timely see newly filed EU / UK trademarks and will be in a position to oppose in time. Ask us about the monitoring service. To open in a new tab, click: Why is it important to monitor newly filed trademarks in the EU and the UK? What is a cooling off period in a trademark opposition? In the European Union, cooling off period is set by the Trademarks Office once the opposition has been received and assuming it is admissible. The purpose of the cooling off period is to allow parties to negotiation a settlement agreement. An initial cooling off period is 2 months, but can be requested to a maximum of 24 months. When the cooling-off period has expired and if no agreement has been reached by the parties, the litigation part of the proceedings begins. Most oppositions are settled as it’s cheaper than to proceed with a full-blown opposition. To open in a new tab, click: What is a cooling off period in a trademark opposition? In which language can you apply for an EU trademark? Trademark applications can be filed in any EU official language. A second language, different from the first language, can be chosen from the following: English, French, Spanish, German or Italian. To open in a new tab, click: In which language can you apply for an EU trademark? Do I have to use my trademark in Australia prior to filing? Do I have to use my trademark after registration? No use is required for filing or registration in Australia, so long as you have an intention to use the trademark in Australia in the near future. There are no filing bases in Australia just like in the UK and EU. Trademarks must be used in Australia within 3 years of the date of registration. A trademark that is unused for 3 years or more can be removed from the register. To open in a new tab, click: Do I have to use my trademark in Australia prior to filing? Do I have to use my trademark after registration? Do I have to use my trademark in the European Union prior to filing? Do I have to use my trademark after registration? In the EU, no use is required in order to file an application. Just like in the UK, you don’t need to specify any dates of first use or to indicate if the mark is in use. No use is required to obtain a trademark registration. To maintain your trademark, it must be put to “genuine use in the European Community” within 5 years of registration. If the trademark has not been used, without a very good reason, for five years or more, then the registration may be cancelled. Furthermore, Community trademarks that do not meet the new standard for “genuine use in the Community” may be converted to national trademarks of a Member State if they meet the requirements for that Member State. To open in a new tab, click: Do I have to use my trademark in the European Union prior to filing? Do I have to use my trademark after registration? Do I have to use my trademark in the UK prior to filing? Do I have to use my trademark after registration? In the United Kingdom, no use is required in order to file an application. In fact, you don’t even need to specify any use dates. No use is required in order to obtain a trademark registration. To maintain your trademark, it must be put to use in the UK within 5 years of registration. If the trademark has not been used and there is no good reason to justify non-use, for five years or more, then the registration may be cancelled. To open in a new tab, click: Do I have to use my trademark in the UK prior to filing? Do I have to use my trademark after registration? Do I have to use my trademark in the US prior to filing? Do I have to use my trademark after registration? In the US, use is not required prior to filing. However, a trademark must be put to use prior to registration unless a foreign applicant relies on a foreign registration as the filing basis. To register a trademark one must file a Statement of Use together with specimens of use. Use is mandatory after registration. In fact, a mandatory Affidavit of Use must be filed between the 5th and the 6th year after registration. If no affidavit is filed, the trademark is cancelled automatically. In addition, trademarks that are not in use after registration may be cancelled by filing a petition to cancel. To open in a new tab, click: Do I have to use my trademark in the US prior to filing? Do I have to use my trademark after registration? Do I have to use my trademark prior to filing in Canada? Do I have to use my trademark after registration? In Canada, no use is required when a trademark is filed. Before your trademark registers it must be put to use. A simple Declaration of Use must be filed. One exception: when a foreign application relies on use and registration if a foreign country. Use is mandatory to maintain your trademark after registration. It is possible to cancel a trademark for non-use if the trademark has not been in use for 3 years after registration and there has been no good reason to justify non-use. To open in a new tab, click: Do I have to use my trademark prior to filing in Canada? Do I have to use my trademark after registration? How long is a trademark opposition process? In different countries trademark opposition process is different. In the US, trademark opposition period is only 30 days, so you have to be pretty fast if you plan to oppose. In Canada, one has to file a trademark opposition within a 2-month period. In the UK, an opposition period is 2 months but can be requested to 3 months upon a request made by a party that intends to oppose. In the European Union, a notice of opposition must be filed within 3 months following the publication. In Australia, the opposition period is 3 months from the date of publication. To open in a new tab, click: How long is a trademark opposition process? What is a Headstart trademark application in Australia? Your trademark is assessed by an Examiner before it is filed. You get a report within 5 days of filing. Once you get the report you can decide if you want to proceed further. If you want to convert your application into a Standard application, you have to pay the remainder of the fees. You can make changes to your trademark or description once you get the report. Once your trademark is converted, you get a formal filing date and no more changes are allowed. Since you don’t get a filing date immediately, what if somebody else filed a similar trademark while you were waiting for the Headstart report? Trademark Office is not bound by the Headstart report and can issue different objection at a later date. If your products are unique and not in the picklist, Headstart may not be the best choice since it only allows to pick the products/services from the list of pre-approved goods and services. How do you know which one to use? We can usually advise when Headstart may be reccommended. If we find similar trademarks and unsure that your trademark will register, we can recommend Headstart trademark application filing first. If you don’t want to invest a ton of money in your marketing campaign and want to maximize your chances for your trademark to be approved, Headstart may be the answer. Once we receive a Headstart examination report, you can then make a decision whether to proceed with the filing. To open in a new tab, click: What is a Headstart trademark application in Australia? Should I file my logo in color in the UK? If filing for a logo in the UK, one has to file the logo in a specific color unlike the US and Canada where filing in black and white covers all colors. Up to 6 color variations are allowed. You can include 2 color variations for free; the government fee for each extra variation is GBP 50 (we don’t charge anything extra). To open in a new tab, click: Should I file my logo in color in the UK? In what color should you file your logo in the European Union? If you are filing a logo in the European Union, filing in black and white will not allow you to use your logo in any color, unlike the US and Canada. Marks that are registered in black and white but used in color may be vulnerable to cancellation if the owner of the trademark does not prove genuine use of the trademark “as registered”. It means that the logo trademark has to be filed in the color that it will be used (and not in black and white unless the owner plans to use the logo in black and white). Full rules with detailed questions and answers can be reviewed here: European Common Practice. If you are thinking of filing a new trademark application, you may want to file two applications: one in black and white to cover all color combinations if you ever need to bring a proceeding before a National Court that has not implemented European Common Practice and one in a particular color that you use to comply with European Common Practice. As us about a special discount for a black and white and color logo (if filed at the same time). To open in a new tab, click: In what color should you file your logo in the European Union? I am an Amazon seller and I don’t know what products I will sell next year. How do I file my trademark application? We understand you. It’s “catch 22” in a way: in the US and Canada, you can’t register a trademark until you begin sales but you can’t get in the Brand Registry until you have a registered a trademark. On top of this, being an Amazon seller you need to be adaptable as you don’t know what products you will be selling next year. So what should you do? 1. You need a registered trademark to get into Amazon Brand Registry and to get full protection for the products you sell. 2. A trademark is always filed for specific products and each category (class) of products comes with the Trademarks Office filing fee. You can’t file a “generic” trademark without identifying the specific products in the application. 3. It means you need to come up with a mini-business plan and itemize the products you may be selling in the next year. 4. Once you have the list of products or at least a general category, we can do the initial trademark search. 5. In order to file a trademark, we’ll need to know actual products. We can finalize them once we begin working on your trademark application. Please note that registrations are granted only for specific products or services and that registration of your trademark does not give you a monopoly for other products and services not covered by the registration (unless those other products and services are considered “related”, i.e. similar). Note: no use prior to registration is required in the UK, EU and Australia. To open in a new tab, click: I am an Amazon seller and I don’t know what products I will sell next year. How do I file my trademark application? Can you trademark book titles? The general rule is that book titles (unless part of a series) cannot be registered as trademarks. Trademarks are really meant to function as the identifiers (source) of goods and services, and book titles don’t really fulfill this function. In the US, one cannot trademark a title of a single creative work. If you have a series of books, then this series can be trademarked. You cannot trademark the name of a single creative work. For example, if you write one book called “FOR DUMMIES” then you will not be able to trademark this title. However, you can trademark a book title if you write a series of books using that title. In the example above, the name “FOR DUMMIES” could be trademarked if you wrote more than one book with that title, since it would no longer be considered a “single” creative work. So, you could have a series of books “FOR DUMMIES” and individual titles of these books may be “Auto repair”, ” Football”, “Personal Finance”, etc. The same rule goes for the EU and UK. In Canada, however, it’s different and you can trademark book titles even if it’s just one book. To open in a new tab, click: Can you trademark book titles? Prior to filing a trademark search should be done. It can be ordered online on our website. Please contact us with your trademark and a list of goods and/or services of interest and we will do a free trademark search for you. A list of the goods and/or services in relation to which your trademark mark is used or intended to be used. Don’t worry about sending an exact list. A description in your own words is enough. If your application claims priority from a corresponding foreign trademark application, please provide the filing date, application number, and country of first filing. Your trademark will be submitted electronically after you approve it. An official filing receipt is issued by the UK IPO (UK Intellectual Property Office) 2-4 days after filing. The filing receipt confirms the filing date and assigns an application number. Your UK trademark application will be reviewed within 5-15 days. Absolute grounds – the Examiner determines whether the trademark is descriptive or non-distinctive. The Examiner will examine your mark to make sure it’s not offensive or immoral. The Examiner may also ask additional questions, like asking to re-specify the goods/services if they were not clear. If an examination objection is raised, the Examiner will set a period for the applicant to respond. Once the examination stage is completed, the application will be published in the online Trade Mark Journal. Within a two-month period, third parties have an opportunity to file an opposition based upon prior registered or unregistered rights. The most common ground for an opposition is confusion with a prior filed or registered trademark. Some other grounds are descriptiveness and bad faith. About 5% of all applications are opposed, so it’s not something you should really worry about. If a third party is concerned, they will usually request to extend the opposition period by one month and try to resolve the situation amicably. In many instances, oppositions may be resolved by a simple modification of goods/services (for example, by limiting them). Many cases are resolved without a formal opposition. Two weeks after publication, the UK IPO will issue a paper registration certificate. It is mailed to the agent of record. It is important to keep your registration certificate safe because it is not possible to request further copies of the original certificate. The registration certificate confirms the registration details and registration dates. Once the UK trademark application has registered you may use the ® symbol to indicate that your trademark is now registered. Please do not use ® symbol before registration. You may also wish to state “[YOUR TRADE MARK] is a Registered UK Trade Mark of [PROPRIETOR]”. This alerts others to your rights and can act as a deterrent. Note: in the UK one refers to a “trade mark” (two words) whereas in the US and Canada it is “trademark” one word. For simplicity and consistence, we refer to a “trademark”, rather than a “trade mark”. A UK trademark registration can last forever, but it has to be renewed every 10 years. A UK trademark registration can be subject to action for revocation for non-use, five years after registration. It takes a minimum of 8 months to register trademark in the US. If there are office actions (objections from the Trademarks Office), then registration will be delayed. It’s not uncommon for a registration to take a year or longer. It takes 20 months to register a trademark in Canada. It’s painfully slo-o-ow. Don’t ask us why. We don’t know the answer. We feel your pain though. Hopefully, once Canada joins Madrid protocol things will improve. You will have to wait for about 7.5 months to register a trademark in Australia. In the European Union, the registration process is about 6-7 months. Not so bad, but the government fees are very high. If your application is filed using “fast-track” method, then the whole process may take about 4-5 months. The winner is the United Kingdom, where it takes about 4 months from filing to registration. Added bonus is low government fees. To open in a new tab, click: How long does it take to register a trademark? How long are trademarks valid for? Trademarks can last forever if they are renewed on time. Keep in mind you will have to continue using your trademark to keep it in good standing. In the US, you must renew your trademark every 10 years. In addition, between the 5th and 6th year after the registration date, you must file an “affidavit of use” to keep the registration alive. In Canada, a trademark has to be renewed every 15 years (the renewal period will be changed to 10 years soon). In Australia, European Union and the United Kingdom, you have to renew your trademark every 10 years. To open in a new tab, click: How long are trademarks valid for? A specimen of use is an example of how your trademark is used on goods and services in the marketplace. Goods means products. To show use for goods, your trademark should be affixed/attached on the actual product or packaging of the product. A photo, mockup or drawing of the mark is not enough. A person can submit tags, instruction manuals, containers, labels, or packaging materials. It may be the easiest to take a photo of your product and/or the packaging and ensure that the trademark is clearly visible. Advertising materials are generally not acceptable as a specimen for goods. If you offer services, the easiest way to prove use is to provide a screenshot of your website so that the trademark is clearly visible in the website header. You can also provide flyers, directory listings, and brochures. A business card or a photos of your business signage could be an acceptable specimen of use for services if the card displays your trademark along with the services the mark is associated with. It is important to submit the right specimens of use in order to avoid trademark refusal. If you are not sure which specimens will be acceptable, call Trademark Angel. To open in a new tab, click: What is a specimen of use? When do you need to submit specimens of use? You need to submit specimens of use immediately when you file a trademark application based on use. If you file a trademark application based on an intent ­to ­use, specimens of use are not required with the initial filing and can be submitted later. However, you will need to submit specimens of use before your trademark is registered. Your trademark will not register until a Statement of Use is filed. If you didn’t start using some of the products and services, they will have to be deleted from the application (or the application could be divided). Do you always have to file a Statement of Use? No, there is one exception from which foreign applicants can usually benefit. This is when a US application is based on a foreign registration. In such a case, the intent­-to ­use filing basis may be deleted, and a US application may proceed to registration on the basis of the foreign registration alone assuming all other conditions for registration are satisfied. After your trademark registers, you will need to file specimens of use to maintain your registration (between the 5th and the 6th year after registration). You will also need to file specimens of use when you renew your trademark registration. If you are not sure if specimens of use are required, call Trademark Angel. To open in a new tab, click: When do you need to submit specimens of use? How do I find an acceptable specimen of use? In this video, we will discuss some examples of acceptable specimens of use for your trademark application. First, we’ll discuss acceptable specimens for products. A photograph of the product showing the mark the actual product. Examples: metal plate on a bag or wallet; barbecue grill. Packaging of the product showing the mark. Example: tissue boxes; packaged fruit or vegetables; packaging for a toy. Signage used in a product display in a store. Example: Photograph of the physical product display. Product labels and tags showing the mark. Example: inside label of a t‐shirt; hang tag on a blouse or pants. A Internet page showing the product near the mark and together with purchasing information. Example: a website page shows a photograph of headphones, the mark for the headphones appears above the photograph, the price appears below or next to the photograph, and a shopping cart button or other way to purchase the headphones appears on the page. If your product is downloadable software, you can prove use by showing copies of the instruction manual and screen printouts from the actual program that shows the mark in the title bar, or launch screens that show the mark in an introductory message box that appears after you open the program. A web page showing the mark in connection with the information sufficient to download the software will also be acceptable. A specimen for services generally shows the mark used in the sale or advertising of the services. A customer should be able to associate your trademark with your services on the specimen. To open in a new tab, click: How do I find an acceptable specimen of use? If your trademark is refused by the Trademarks Office, you get free re-filing through the “ALL IN” package (a $745 value). All our professional fees are waived. If your address changes, we’ll update it with the Trademarks Office (a $100 value). If you decide to transfer your trademark to another company or person, we’ll record one trademark assignment for free (a $150 value). You’ll only pay the government fee. If you think you may need the writing of a cease-and-desist letter, we’ll write one for you, signed by an attorney (a $500 value). This package comes with unlimited consultations with us about your trademark (an average value of $250). Perhaps most importantly, the “BELLS AND WHISTLES” package includes responses to substantive objections, including confusion and descriptive objections, which can be very frustrating in getting your trademark(s) registered! The difference between the “ALL IN” and “BELLS AND WHISTLES” package is $350. Sounds like a lot. But if a confusion objection has issued with the former package, the hourly rate of addressing this objection, combined with other legal fees, always exceeds $350. In fact, the savings becomes apparent with even one “office action” issued by the Trademark Office. This doesn’t include instances in which multiple objections have issued, which happen more often than you might realize! With the “BELLS AND WHISTLES” package, your fees are set from the get go; you’ll know that you won’t need to pay a dime extra, regardless of how many times we have to respond to objections. And finally, if we do get a refusal, we’ll re-file your trademark through our “ALL IN” Package (a $745 value). And even if we don’t get any confusion objections, the added bonuses above still make this package the best deal for your investment. Our “BELLS AND WHISTLES” package can be compared to good insurance. You won’t know if you need to make a claim, especially one resulting from a frustrating confusion objection. But if you do, then you’re covered! To open in a new tab, click: Why our “BELLS AND WHISTLES” package is worth the investment? “ALL IN” package includes everything that “SAIL THROUGH” package includes and in addition it includes responses to non-substantive office actions (objections from Trademarks Office). Please read more about office action in this post. “ALL IN” package also includes filing of a Statement of Use for intent-to-use applications in the US or a Declaration of Use for proposed use applications in Canada. In addition, “ALL IN” package comes with free trademark re-filing should your trademark be refused by Trademarks Office during the examination. “SAIL THROUGH” package doesn’t include reporting/responding to any objections, filing of a Statement of Use (Declaration of Use) and if your trademark is refused, we will not re-file for free. Our hourly rate is $150/hr. You can see the difference between “SAIL THROUGH” package and “ALL IN” package is $350. An average response to a simple objection (addressing formality) takes 0.5-1.5 hours. It’s not uncommon when the Trademarks Office issues more than one office action. If you do simple math, if we receive 2 simple office actions or 1 more complex one, we will spend on average 3 hours (3x$140=$450). Filing of a Statement of Use will cost you $150 if bought separately (or if you choose “SAIL THROUGH” Package) and $50 for each additional class if your application has more than 2 classes. So, with “ALL IN” you will avoid having to pay extra for our time to respond to administrative objections and you also don’t pay professional fees for the submission of a Statement of Use (Declaration of Use) for intent to use applications. Buying “ALL IN” package can be compared to buying an insurance policy, the only difference is that the odds of getting an objection is 65% so statistically it is a better deal for you. If you haven’t launched your business yet and don’t use your trademark yet, then “ALL IN” is the way to go as you will need a Statement of Use (Declaration of Use) filed before registration. Why do we offer “ALL IN” package if “SAIL THROUGH” seems like a better deal to us (we can bill you extra, can’t we)? Because we don’t like tracking our time, we don’t like issuing additional invoices, we don’t like sending reminders chasing unpaid invoices and we don’t like making you pay extra. Our goal is to provide flat-fee competitively priced trademarking packages and “ALL IN” is the best deal for registrable trademarks. In addition to not having to worry about paying hourly rates, the “ALL IN” package comes with free re-filing unlike the “SAIL THROUGH” package, so can you do the math? Which package is better? Full description of our packages is here: Pricing. To open in a new tab, click: What’s the difference between “SAIL THROUGH” package and “ALL IN” package? No, we do not offer the money-back guarantee. We offer free re-filing, should your trademark be refused. For details click here. To open in a new tab, click: Do you have money-back guarantee? I am overwhelmed. Where do I start? Order a free trademark search, or contact us to book a free trademark consultation. To open in a new tab, click: I am overwhelmed. Where do I start? Free re-filing is not available if you select our SAIL THROUGH package. If you select our ALL IN package and if your trademark is refused for all the products and services covered by your application, we will re-file your trademark for free. Your newly filed trademark will be filed on our SAIL THROUGH package conditions. If you select our BELLS AND WHISTLES package and if your trademark is refused for all the products and services covered by your application, we will re-file your trademark for free. Your newly filed trademark will be filed on our ALL IN package conditions. Answer: If you decide to abandon your trademark, change your mind about pursuing your trademark registration or if you decide to re-brand, we will not re-file for free. If your trademark is opposed by a 3rd party during the opposition period and if you choose not to defend it or if you lose during the opposition proceedings, we will not be able to re-file for free. We will re-file your trademark only if it’s refused by the Trademarks Office during the examination process. Answer: Free re-filing offer must be used within 6 months after a client was notified of refusal. To open in a new tab, click: What does free re-filing of my trademark mean? What are government filing fees? Government fees are not included in our packages and are extra. Canadian government filing fee is C$250. Post-allowance government fee is C$200 (payable just before your trademark gets registered). At present, government fees don’t depend on the number of classes. US government filing fee is US$275 per class. We may even qualify for the lowest filing fee of US$225, if we use the US Trademarks Office pre-approved pick-list. If we file your application based on “intent to use”, i.e. future use, then there will be extra government fees. Government fee to file a Statement of Use is US$100 per class per mark. The EU government filing fee is EUR €850 for the first class. The filing fee for the second class is EUR €50. The filing fee for each additional class is EUR €150. The UK government fees are GBP 170 for the first class and GBP 50 for each additional class. The Australian government fees are AUD 250 per class. To open in a new tab, click: What are government filing fees? Is it possible to file a trademark application before you have started selling products or services? You may file trademark application as soon as you have decided to sell products or services in connection with your trademark. A trademark application can be filed either on the basis of future use or actual use in the US and Canada. In the European Union and the UK, you do not have to specify whether your trademark is in use or not at the filing. We recommend filing trademark applications at an early stage to ensure that marketing, labeling and production expenses are not wasted on trademarks that are not registrable. A successful trademark application will ensure that your trademark is truly available to use, and you’re not taking someone else’s mark. Also, registering a trademark will help prevent anyone else from trying to use the same or confusingly similar trademark. To open in a new tab, click: Is it possible to file a trademark application before you have started selling products or services? An Office Action is an official letter from the Trademarks Office. In this letter the Trademarks Office lists problems with your trademark application. You must respond to an office action. If no response is filed, your application will be abandoned. You have 6 months to respond (in the US no extension is possible, in Canada you can get a 6-month extension of time). In your response you have to explain why your trademark should receive registration and you have to address the objections listed in the office action. An administrative office action can usually be overcome by providing additional information to the Trademarks Office or by making revisions to your application or to the statement of goods and services. The above objections are fully covered by our ALL IN and BELLS AND WHISTLES packages. A substantive office action may include descriptiveness or likelihood of confusion issues. Descriptiveness issues arise when your trademark describes, misdescribes or provides a deceptive description of an ingredient, quality, characteristic, function, feature, purpose or use of the identified goods or services. Generic refusals arise when your trademark names the products or services in your application. These are usually very difficult or impossible to overcome. A likelihood of confusion rejection is when the Trademarks Office considers your trademark confusingly similar to an earlier filed trademark application or registered trademark. Your office action letter will list the marks that your application is confusingly similar to. Such a rejection usually requires a long and well-thought out response and/or planning of a strategy. The substantive objections are fully covered by our BELLS AND WHISTLES package. How can you avoid getting an office action? You can never be completely certain that no office action be received. However, a risk of getting an office action can be minimized. The best way to minimize a risk of getting a substantive (confusion or descriptive) objection is to do a proper trademark search. If a conflicting mark is found, the trademark name may be adjusted or completely changed as well as the description of goods and services can be adjusted to avoid any overlap with the conflicting mark. To minimize a risk of getting an administrative objection, the trademark should be filed using proper specification of goods and services. If specimens of use are submitted with filing, they should properly show use of the trademark. Translation and meaning of the trademark should also be provided at filing. To open in a new tab, click: What are office actions? What is the difference between State and Federal Trademarks? Trademarks may be filed at the state or federal level. State trademarks protect your mark in a specific state while federal trademarks protect your mark in all the states. State trademarks generally provide less legal protection than federal trademarks. Businesses operating in only one state should trademark in that state. Businesses operating in interstate commerce may file for a federal trademark. For example, if you operate a restaurant or a hair-dressing salon in Florida, you are not eligible for a federal trademark. In this case, you should apply for a trademark in the state of Florida. However, if you have two or more restaurant locations in more than one state, in our case, one in Florida and one in Georgia, you are eligible for a federal trademark. A business intending on expanding nationally or internationally should conduct a trademark search and file a federal trademark as soon as possible. To open in a new tab, click: What is the difference between State and Federal Trademarks? The term “common law” indicates that the trademark rights are developed through use and not governed by statute. Trademark common law rights attach to a trademark once the trademark is associated with your products or services in a geographical area. In Canada and the US, if a business that does not register its trademark, it can still have first priority on the name in the geographic area in which it sells its products or offers its services if it was the first to establish common law trademark rights (i.e. if it was the first one to use this particular trademark). How do you establish common law rights? Start a business and sell products or services under your brand (trademark). It is pretty simple. Because common law rights arise as soon as you begin using your mark, simply offering for sale products or services will begin to establish trademark common law rights. These are trademark rights that are enforceable in courts. However, without a trademark registration, your damages may be limited. Further, common law trademark rights are based on first use. If you are trying to sue someone with a similar name make sure you are the first user. If you are not the first user, you will be the one who may be infringing, and you will be the one who will need to re-brand. Common law trademarks stop competing businesses in your area / geographic location from using an identical or similar trademark that could confuse or mislead potential consumers. You can sue a local competitor for damages if they start using your mark. If you win, the other business will also have to stop using your mark. If you’re the only one using the trademark, there is no confusion among consumers. Customers won’t accidentally visit a competitor shop believing it’s somehow linked to yours. Common law trademark rights are limited to the geographic area in which the mark is used. For example, if you sell doughnuts in the vicinity of Orlando, Florida, the trademark rights to that name exist only in Orlando, Florida. If another doughnut retailer starts selling different types of doughnuts in Detroit under the same name (assuming their use was bona fide), then there would be no trademark infringement. However, if the Detroit company tried to sell their doughnuts on a federal level, they would discover that the Florida company’s common law rights to the mark may prevent them from entering the Florida market. To open in a new tab, click: What are “common law” trademarks? Although a trademark search is very useful and necessary in order to determine if a mark is registrable, the risk and challenge are never completely eliminated. Even an especially thorough search may not uncover every potentially conflicting mark, for several reasons. In the United States or Canada, a newcomer to the search process might expect that it would suffice to check only the records of the USPTO or CIPO. However, one cannot rely solely on a Trademark Office database search, since registration is not necessary to obtaining trademark rights in the United States or Canada. Many valid trademarks exist at common law without ever appearing on the trademark register. Thus, in addition to checking Trademark Office database, one should check the Internet, and also different marketplaces including Amazon, eBay, Etsy, Shopify and company databases looking for the use of unregistered marks. Searching common-law marks is not very easy and is never cheap since there is no single source that lists every unregistered mark in current use in the United States or Canada. There are many potential sources of information that could be searched on, and it is not economical to try to search them all. Just by way of example, a full search in the US will cost you $1500. Additionally, one cannot expect that every source will provide accurate, complete, and up-to-date information at the time the search is conducted because every database has its limits. Trademarks Office database, whether Canadian or US, is never completely up to date, because a time lag exists between the time an application is filed and the time it appears in the search database (the delay is about 7-days). Therefore, recently submitted applications will not appear in a trademark search, even though the lag may be only a few days long. Also, foreign applicants may obtain an effective U.S. (or Canadian) filing date that is as much as six months earlier than the actual filing date if they claim priority from the filing date in their native country. That means there is always a risk that a foreign entity may file in the US or Canada, and claim priority from the initial filing date in a foreign country. A search will not reveal a trademark that has not yet been filed. This means you could file an application for the mark thinking that it’s registrable, only to have a foreign applicant “jump the line” with a belated application based on an earlier foreign filing date. Trademarks Office databases are also not always accurate. It’s possible for a system to time out so your search will not uncover all the results. It’s also possible that a trademark is not indexed properly so a confusingly similar trademark may not even show up in a trademark search. Even if the databases were completely up to date, searching would still be an imperfect science. Trademarks do not always follow established rules of spelling, grammar, construction, punctuation, or meaning. Misspellings, wordplay, unusual constructions, creative punctuation, and other inventive variations are commonplace, and they create unexpected pitfalls for searchers. For all these reasons, it is possible to perform diligently and evaluate a search, and conclude that a mark is available, when in fact a direct conflict may exist, that are hidden from view. You may do a search for DONUT for advertising services, and the search is clear. However, you will not know that there is a foreign equivalent trademark in French – BEIGNET and although not identical, this mark may present a serious challenge. In Canada, one must search for French equivalents, and in the US, under the doctrine of foreign equivalents, words in other languages are translated into English and are tested for likelihood of confusion. It’s not possible to search for all synonyms. For example, if you’re searching for WALKING DOGS you may not find STROLLING PETS and this mark, although not the same, may be found confusingly similar. A trademark search for LADY VET may not show trademark search results for MADAM PET DOCTOR. Finding different spelling is also challenging. If you search for EXTRAVAGANZA, you may not find EXTRABAGANSA, and if you search for VAGABOND, you may miss BAGPOND. A trademark search for QUICK may not uncover KWIK, KWIX, QUIK and trademark search for EASY may not uncover E-Z, EZEE EEZY, EASI. Trademark Angel uses Corsearch searching system which allows to search for phonetic equivalents and vowel substitution. Once a trademark search is done, all the data can be organized according to relevance. In addition to the above, it’s critically important to search for the right classes. Omitting a class may result in missing an important trademark. It is advisable to search for broader classification than the real filing to catch all possible conflicts. Having said this no search is 100% accurate. That’s why we always advise our clients to check the Internet, marketplaces and social media use in addition to asking us to do a trademark search. For social media search, we recommend you use https://namechk.com/, which will allow you to check all domain names, social media usernames – all at once. Coupled with a proper Trademark Office database search, you will have a pretty good idea if your trademark is registrable. Since a search cannot completely eliminate the risk, the realistic goal is to eliminate as much risk as possible. This is why it’s advisable in addition to doing your own, due diligence to go to professionals who’re experts such as Trademark Angel, a trademark registration firm with over 18 years of experience in the area of trademarks. Registering a trademark is a time-consuming and complicated process. That’s why the Canadian Trademarks Office recommends hiring a registered agent. A full list of trademark agents can be found here: http://www.ic.gc.ca/cipo/mc-tm/agents.nsf/tmagents-eng?readform&wt_src=cipo-tm-main. Conducting a proper trademark search to determine if your trademark can be registered. Saving you time—a trademark agent will monitor all Trademarks Office updates, leaving you time to run your business. A trademark agent will also correspond with foreign agents on your behalf if you file in other countries. Saving you money— if you file incorrectly, your trademark will be refused and you will have to pay additional fees to re-file. If you have already spent time on your brand, such as website, business cards, stationery, advertising, you will have to re-brand and this will be expensive. Giving you invaluable advice when you need it. Helping you to sleep soundly at night – a weak trademark will leave you vulnerable to receiving a “cease and desist” letter and to court actions. To open in a new tab, click: Why should I hire a trademark agent? Why should I hire a trademark lawyer? Can I register trademark myself? There are so many trademark agents and lawyers that it’s difficult to choose the right one. We guarantee that a trademark professional will work on your file (not an assistant, not a paralegal, not a machine). We offer flat fees. So your budget is predictable from the get-go. 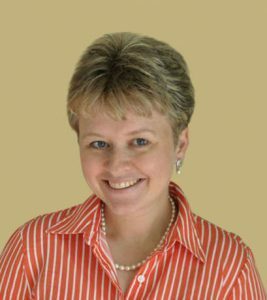 The founder of Trademark Angel, Anita Mar, received the Canadian Education Foundation Prize for the highest results on the Trademark Agent examination in 2008. You say – no big deal? Only 25% of contestants pass the exam according to the statistics provided by Canadian Trademarks Office, and this 25 % includes those who write for the 2nd and 3rd time. We work with the best professionals in each country where we file so you get the best service at the lowest price. We offer the best price on the market. Don’t believe us? At Trademark Agent, you are covered by “Meet and Beat” guarantee. If you find a cheaper identical offer, we’ll beat it by 10%. We can file in many countries with the same flat-fee model. We offer amazing discounts for multiple marks. At Trademark Angel, we offer 20% discount for the 2nd trademark filing in the same country. Try and find a better deal! Most other law firms will give you 10% discount if you are lucky! If you change your mind, no worries. We offer “I changed my mind” guarantee. If you have decided to become our client and changed your mind, a full refund will be offered within the first 48 hours (provided we haven’t started working on your application). Do you need to incorporate first? We’ve got you covered. We can refer you to our colleagues who can help you. We offer 3 great packages. Most of them are packed with things you won’t find at any other law firm or trademark agency. For example, our Premium “Bells and Whistles” package, which is only $1095, will cover assignments, writing of “cease and desist” letter, trademark strategy review and unlimited consultations with us. It also comes with free re-filing guarantee. We understand that cash flow may be a problem, so we will offer a payment plan. If you are strapped for cash, we will consider barter. Our main goal is to make trademarking affordable to anyone. We work with Amazon sellers and know the requirements of Amazon Brand Registry. Drowning in trademarking sinking sands? Let Trademark Angel lend a hand! To open in a new tab, click: Why should I use Trademark Angel to register my trademark? Anita Mar is a Canadian registered trademark agent. Anita has worked very hard to become a trademark agent and received the highest mark in Canada during 2008 qualifying trademark agent exam. Kaiko Shimura is a US licensed attorney (state of New York bar and Massachusetts bar) in good standing. In the UK and EU we also work with a trusted professional who is a chartered trade mark attorney. Daniel Finn is our Australian attorney. He has many years of being a trademark practitioner. Doris Xi is our Chinese lawyer. She is a lawyer in good standing with many years of experience in big firms. To open in a new tab, click: How can I trust you? Anita’s hourly rate is US$150 or C$195 for Canadian work. Our US, UK and Australian lawyers’ fees are also US$150 an hour. You don’t need to worry about our hourly rate if you select “Bells and Whistles” package. With our “All In” package, hourly rates will only apply if you receive substantive office actions. Please note that for opposition work our hourly rate is US$200 an hour or C$260 for Canadian oppositions. Oppositions are not included in our packages and will be extra. To open in a new tab, click: What’s your hourly rate? Yes, we do. Our primary goal is to help startup companies. Please contact us for details. To open in a new tab, click: Do you offer barter? What is “Meet and beat” guarantee? We are confident we offer the best price for a service we offer (trademark registration done by a registered trademark agent and not by a computer). If you find a cheaper identical offer, we won’t only match it, we’ll beat the competitor’s offer by 10%. To open in a new tab, click: What is “Meet and beat” guarantee? Should I file my different trademarks separately or combine them in one filing? Let’s say you have three different trademarks to register: your company name, your company logo, and your flagship product name. Since each trademark registration requires a separate application fee, this means you’ll need to pay this fee three times to get your company fully trademarked. This also doesn’t take into account your attorney’s or trademark agent’s legal fees. Sounds like a pain! So, a trademark attorney that you’ve hired suggests that you combine filings. After all, if your company logo and company name always appear together, why not simply file them together as one trademark to save both time and money? Do not let this shortcut tempt you. Combining filings like this might seem to make a lot of sense, but the complications that arise will only cost you in the long run. If you decided to combine filings, and the USPTO approves your registration, then you now own a trademark that can no longer be separated into its composite parts. If you combine your company name and company logo into one trademark, that means you can no longer display the company name by itself, or the company logo by itself, and be protected by trademark law. In short, you own trademark rights to the combined image (because that is how the USPTO approves it), but not to its individual components. That can mean a lot of headaches down the road if you ever plan on evolving or changing your company brand. Companies regularly change logos. It’s a sign to the public that the company is evolving, changing, and progressing with consumer needs. More so, design motifs and style often change over time, as well. Who knows if your logo is going to look antiquated and backward in ten years’ time? So, after a few successful years, you think to update your company logo. You decide that having the product name visible along with the logo is no longer important (perhaps your company logo has grown ubiquitous!). But stop—you don’t actually own the trademark to your product logo. You own the trademark to the combined image of product name and logo, but because you filed them together, they cannot be separated and viewed while still retaining trademark status; that’s not the way trademark registration works, unfortunately. What you would need to do: file one trademark to protect your product name, and then file yet another for the updated logo (since there is no trademark on the logo itself!). You combined filings to make things easier, not more difficult! A real-world example: Many companies incorporate their names into the design of the logos themselves, like PepsiCo. Do you think that PepsiCo only registered the Pepsi logo as it appears on their soda cans? Of course not. PepsiCo owns the rights to all iterations of the Pepsi logo, as well as the word “Pepsi” itself and the phrase “Pepsi Cola”. If they had decided to file the “Pepsi” name and Pepsi logo as one unique trademark, their ability to police the use of these iterations (in both name and logo) would be greatly limited. In short, combining trademark applications might save money in the short-term, and it might even get around any problems that your separate trademarks (company name or trademark logo) are facing to get approved. However, combining these elements together binds you over time—you are now limited in how you can use your logo and company or product name, and you’ll need to refile for a new trademark registration if you ever decide to change something like your company logo. Don’t get strung up by these issues that can be avoided from the very start! If these exceptions don’t apply to you, then save the stress of trademarking complications by ensuring you file your trademarks separately! To open in a new tab, click: Should I file my different trademarks separately or combine them in one filing? When and how can I use my trademark symbols? In Canada, there are no marking requirements. However, it’s wise to use them to indicate ownership of your trademarks. Trademark owners can indicate ownership or registration of their trademark through certain symbols, TM (trademark) or ® (registered trademark). The TM symbol can be used with a trademark regardless of whether it is registered, as long as it is being used in association with products or services. TM symbol is used to indicate that you use your brand as a trademark. When I use TM symbol for my trademark, that makes no claims as to its registration status. The ® symbol is used once the trademark is registered. In the US, use of the federal registration symbol is regulated by federal law. One should only use ® symbol for federally registered trademarks. How should you use trademark symbols? In written documents (on your website, promotional materials or articles), it is only necessary to use a marking symbol when you mention your trademark for the first time or with the most prominent placement of your trademark (for example, in the header or title). Most people mistakenly think that you have to use marking symbols every time you mention the trademark. Using marking symbols too much makes it more difficult to read your materials, so don’t overuse. P.S. How do you type TM and ® symbols? Easy, if you have Windows, simply press ALT+0174 to get ® and ALT+8482 or ALT+0153 to get TM. Should you use trademark symbols? We think you should. There are two reasons why. First, the symbols provide notice to the public that you are claiming the symbols as trademarks and this will hopefully deter others from using your trademark for their business. Secondly, if you ever have to sue somebody for trademark infringement and you haven’t used the statutory notice (i.e. the ® symbol), then you may not be able to sue for damages or profits unless you can prove that the infringer had actual notice of your trademark rights. So our take on this – use trademark notice! To open in a new tab, click: When and how can I use my trademark symbols? A trade name is a name under which you conduct your business. A trade name can act as a trademark if it is used to identify goods and services of that business. Scenario A: Customers come to you because they know your name “To The Moon Headphones Ltd.”. You use your company name as a trademark and you place it on your headphones or packaging. In this case trade name vs trademark, your company name is also your trademark. Scenario A: Customers come to you because they like your headphones which you have called “Blue Rocket”. This is how you advertise and sell your headphones. Even though the name of your company is “To The Moon Headphones Ltd.”, nobody associates this name with your headphones. In this case, your company name is not a trademark, but your product name is a trademark. What are clearly descriptive trademarks? Not all trademarks can be registered. Descriptive trademarks are not registrable in Canada, EU and UK. They are registrable in the US on the Supplemental Register if certain conditions are met. One may not register a word that describes a feature of the products or services. Clearly, descriptive marks consist of dictionary words (or their phonetic equivalents) and describe characteristics of your product or service. The reason clearly descriptive trademarks cannot be registered is to prevent a business from appropriating common dictionary words that describe important characteristics of its products and services, which would place its competitors at a significant disadvantage. Some examples of clearly descriptive marks: FRESH MEAT for meat, ULTRA CLEAN for laundry detergent, OKANAGAN for grapes, SWISS for cheese, FAST AND ACCURATE for transcription services. If you were allowed to register these words, no other business would be able to use these words to promote their goods and this would be unfair. There is one exception: if you can establish that your descriptive trademark has become so well known that people think of your product (and no one else’s) when they hear the words, you might be able to register the trademark. Think about BEST BUY – it is so famous that people would actually think about a store rather than “best deal”. Question: What if I put my descriptive mark in a stylized font? Will my descriptive mark become registrable? Answer: No. If your word mark is descriptive in block letters simply putting it in stylized form will not help. This is because a mere embellishment of the letters comprising the words cannot be dissociated from the words themselves. Canadian Jewish Review Ltd. v. The Registrar of Trade Marks (1961) 37 CPR 89 (ExC) adopted. To open in a new tab, click: What are clearly descriptive trademarks? My trademark is descriptive. What should I do? Descriptive trademarks are not registrable in many countries, including Canada, Australia, European Union and United Kingdom. So if your trademark is descriptive and you are filing in one of the countries listed above, it’s best to come up with another name. In the US, they may be registered on the Supplemental Register – a special place where descriptive trademarks are registered. The Supplemental Register does not cover the same legal bases of the Principal Register, but it is capable of legally distinguishing your business’ goods and services and offering you protection. We discuss Supplemental Register in detail in our article. To open in a new tab, click: My trademark is descriptive. What should I do? Everyone knows the word but not everyone really knows what it means. A trademark is a word, symbol, logo, tagline or any combination used in association with products or services. A trademark may even be a particular smell, texture, sound or color! A trademark distinguishes the products or services of one person or company from those of others in the marketplace. A trademark prevents another person or company from offering a confusingly similar product or service. So a trademark protects your brand. It also represents the reputation of the provider of such products and services. It’s important to note that having a logo doesn’t give you an absolute monopoly over a word(s) or tagline. Instead, it gives you a monopoly over a mental link between that word(s) and the products you sell or services you offer. Trademarks are a shortcut to get consumers to where they want to go. You can also think about a trademark as a lighthouse acting as a guide to consumers of a product or service. To open in a new tab, click: What is a trademark? What kinds of trademarks aren’t registrable? In Canada, some trademarks are not registrable under the Trademarks Act. Exception: Clearly descriptive trademarks may be registered after a period of extensive use. A good example is MCDONALDS. In the US, descriptive marks can be registered on the Supplemental Register if a trademark is already in use in the US. deceptively misdescriptive marks, those that would mislead consumers as to the character or quality of the goods or services being offered or of their place of origin. To be deceptively misdescriptive a mark must first be clearly descriptive and then deceptively describe the products. Example: ALL BRAN for cereal that does not contain any bran. full names and last names of living or recently deceased people and names of famous people. Examples: BRAD PITT for entertainment services, JONES for accounting services. CHARLIE CHAPLIN for shoes would be registrable as he died more than 30 years ago. ELDERS for wine may be registered as it has another meaning. In the US, a name can be trademarked with the consent from the owner. If a name is invented, you simply have to state that it’s a coined name. Example: VINO ROSSO means RED WINE in Italian. Since it’s a name of the product in Italian, the trademark is not registrable. To open in a new tab, click: What kinds of trademarks aren’t registrable? What does “using a trademark in Canada” mean? Use is essential to registration and to the maintenance of your trademark. You can’t register your trademark Canada and the US if you don’t use it. In many other countries, you need to use the trademark after registration to make sure it’s not challenged and canceled for non-use. In Canada, using the trademark for goods (products) is simply selling your products with your trademark being displayed either on the actual products or on their packaging during the sale. Using for services is simply advertising of the mark in Canada and the services must be performed in Canada, or be available to be performed in Canada. To open in a new tab, click: What does “using a trademark in Canada” mean? What is use in commerce (in the US)? In the US, trademark use is essential to register your trademark and to maintain it. Without use, there will be no registration and without a use after registration, your trademark may not be maintained. Using for goods (products) is actually selling your products with your trademark being displayed either on the actual products or their packaging during the sale. Using for services in the US is actually advertising and performing the services in the US in more than one state or in the US and a foreign country. Use must be “bona fide” – real sales to real customers. “Token use” is not acceptable. Use must be in the ordinary course of trade – that means that goods and services must be used in a way which is typical in a particular industry. Note: the US law says you need to use the trademark in interstate commerce. That means that when you sell your products they need to be sold and shipped to another state or to a foreign country. To open in a new tab, click: What is use in commerce (in the US)? If one company or person applies for a specific trademark for the first time in any country, and then, within the next six months, files an application for the same trademark in another country and claims priority, then the second trademark application will have the same filing date as the first filed application. For example, if a company filed a trademark on June 10, 2017 in Canada for the trademark TRADEMARK ANGEL and later filed an identical application in the US on November 10, 2017, then the US application will have the same filing date as the Canadian application, i.e. June 10, 2017. For examination purposes, it will be considered as if it was filed on June 10, 2017. If another entity filed TRADEMARK ANGEL application between June 10 and November 10, this other TRADEMARK ANGEL trademark will be refused by the Trademark Office. Question: If you fail to claim priority within the 6 month window from the initial filing date, can you add a priority claim later? Answer: No. The 6 month priority date cannot be extended. Question: Can you claim priority from the first filed application if the second application is not identical? Answer: It depends. The second filed application may exclude some goods and services contained in the first application but it cannot be broader. Question: What will you need from me to claim priority? Answer: We will need a copy of the first filed application, its serial number and filing date (or registration date, if it’s already registered). Also, we will need to know whether the trademark is already in use in any country. If in use, we’ll need to know where it’s being used. To open in a new tab, click: What is a priority claim? What’s required in order to file a trademark application in the US? The telephone number and email address (not required). Whether the trademark been used in the US: yes/no. If yes, the date of first use (sale) in the US for each product and service. Specimens of use if your trademark is already in use. Specimens of use are photos of your products with your trademark clearly shown either on the products themselves or their packaging. Specimens of use for services can be a screenshot of your website where your trademark is clearly seen. To open in a new tab, click: What’s required in order to file a trademark application in the US? What’s required in order to file a trademark application in Canada? Whether the trademark been used yet in Canada: yes/no. If yes, the date of first use (sale) in Canada for each product and service. To open in a new tab, click: What’s required in order to file a trademark application in Canada? Do you need a power of attorney from me? No, we don’t need a power of attorney to file your trademark application in Canada or the US. To open in a new tab, click: Do you need a power of attorney from me? How do I lose my trademark protection? You may lose trademark protection when the mark no longer distinguishes your product or service from those of competitors. When it happens your trademark will become generic). Don’t let your trademark become a generic term such as escalator or nylon. Instead always put a registered trademark symbol and use a generic term after the trademark name: Kleenex® tissue and Xerox® printers. To open in a new tab, click: How do I lose my trademark protection? Can I allow someone else to use my trademark? You can license your trademark to another person or another company. Please keep in mind that marks establish a connection between the mark and the goods (or services) and are considered as an indication for certain quality and reputation. It is important that your licensee maintains the same quality and reputation. To make sure it happens, you should be closely involved with the proper use of that mark by your licensee. It is best if you have a written license agreement in place to provide for effective control by the licensor. The license agreement may be considered invalid if it does not provide for quality control or if such quality control is not carried out. Trademarks must be used in order to stay valid. Proper use by a licensee is considered to be use of the mark by the owner. Close involvement and control of the use of the mark by the licensee is also important for satisfying the requirement of use. If you are planning to license your trademark to somebody, Trademark Angel can help you with a license agreement. To open in a new tab, click: Can I allow someone else to use my trademark? How to select a great trademark for your business? To open in a new tab, click: How to select a great trademark for your business? 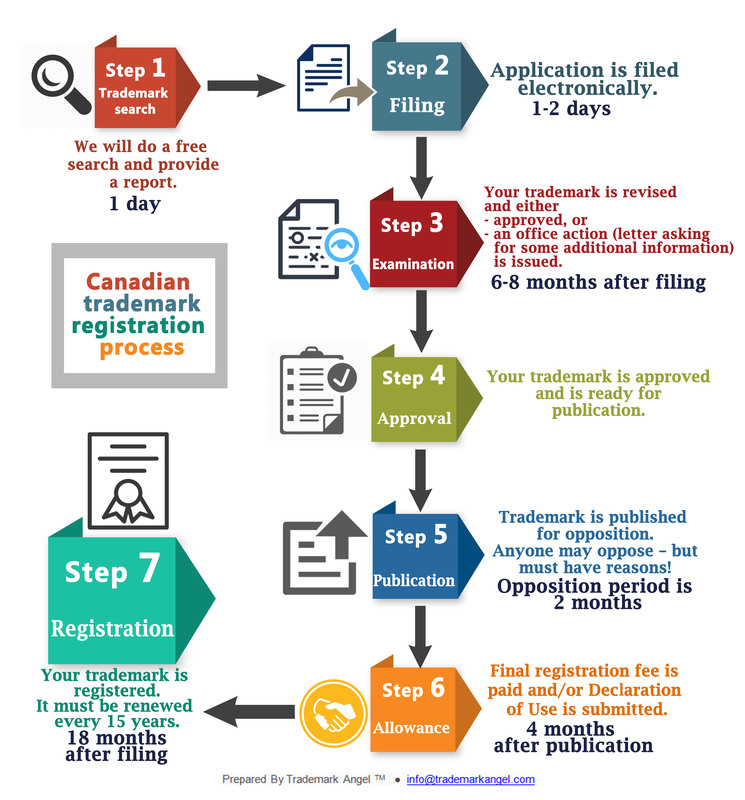 What is the Canadian trademark registration process? To open in a new tab, click: What is the Canadian trademark registration process? Should I claim color as a feature of the mark? When you file your logo in black and white, you may use your logo in any color. When you file your logo claiming color, you must use your logo in those colors. A color claim is a limitation, which otherwise confers on the owner the exclusive right to use the mark in any color. Therefore, a color claim narrows down the protection for a mark and it is usually advisable to include such a claim only when a particular color is considered to be an important and essential feature of the mark. In addition, a trademark logo in color is usually not the first trademark that should be filed. If an applicant files a first trademark, it’s best to file a word mark in standard characters. Such a trademark will allow the owner to use its trademark logo in any font and style. After a word mark is filed a trademark logo should be considered for filing. Of course, it may be filed at the same time as the word mark if finances allow. Only after the word mark and the logo in black and white are protected, should a logo in color be protected if necessary. What’s the bottom line? Unless color is an essential element of your trademark logo, don’t file in color. Read our article for a full discussion about color claims. To open in a new tab, click: Should I claim color as a feature of the mark? What is trademark monitoring (confusion watch) service? We will search the Trademarks Office database of the country where we filed your trademark. The service covers newly and previously filed trademark applications with the Trademarks Office. If we find a trademark that is similar to yours, we will promptly let you know. Why do you need to know about similar trademarks? You should be the first to know if somebody filed a similar mark. This will allow you to decide if you want to send them a demand letter, keep monitoring to see if the Trademarks Office rejects the confusing application, oppose the confusing application if it’s approved by the Trademarks Office, or ignore it if you don’t think it’s causing confusion with your brand. You may say: “The Trademarks Office will reject a similar trademark anyway, so I don’t need this service”. Yes, and no. Your competitor may do a lot of damage in a short period of time (advertising their confusingly similar trademark, luring your customers, causing confusion). Also, sometimes the Trademarks Office makes a mistake and approves a confusingly similar mark. If this happens, you will need to oppose. And if you miss a short period of time during which oppositions can be filed, then this confusingly similar mark will register and you will need to go to court to stop them. In the UK and EU, Trademarks Office will not refuse a similar trademark as there is no examination on relative grounds (meaning that unless there is an opposition a very similar or ever identical mark will register). The cost of trademark monitoring service is usually around US$250-300 for a year. You can buy one year of trademark monitoring from us at a discounted rate of $225 per trademark per country. To open in a new tab, click: What is trademark monitoring (confusion watch) service? There are so many benefits that it’s hard to list all, below are just a few. Registration provides the owner with exclusive rights to use the mark in Canada for 15 years and in the US for 10 years. Registration is renewable every 15 years in Canada and every 10 years in the US after that. The owner of an unregistered mark has protection within a confined geographic area where he enjoys an established reputation and goodwill. A registered trademark is a valuable asset to your company and can be sold or licensed. It also increases the value of a company. A registered mark will create a presumption that the trademark is distinctive, valid and owned by the registered owner. If there is ever a dispute about the mark, the burden of proof will lie on the party challenging the registered mark. Your trademark may become incontestable 5 years after the registration the trademark. This will help to eliminate most arguments that the owner does not have the exclusive rights to the trademark. A Canadian trademark registration allows for registration of a corresponding .ca domain name (fulfills “Canadian Presence requirements”) for non-Canadian brand owners. Trademark registration provides a ground for an opposition in case you need to challenge your competitor’s trademark. Your registered trademark serves as public notice that its owner has exclusive right to use the mark in Canada (or the US). Trademark registration often deters others from using a mark that is the same or similar. A registered trademark facilitates lawsuit as suing for infringement is generally easier than suing for passing off. Trademark registration can be used as a basis for obtaining registration in other countries. If you are an Amazon seller, a trademark registration will enable you to get into the Amazon Brand Registry (check out our article about that). To open in a new tab, click: What are the benefits of registering a trademark? Yes! Payment plans are offered on most our packages. We want your business. Please ask us if you need a payment plan as it’s not offered automatically. To open in a new tab, click: Do you offer a payment plan? We suggest protecting your company, product or service name, and your logo. In this case, two trademarks are typically needed, and that can get expensive. Unlike other companies, we offer a 20% discount for the second trademark. If you file more than two, the discounts are even better! Need to register more trademarks? Contact us for volume discounts. To open in a new tab, click: What should I protect? To start, we recommend registering your trademark in the country where you sell your products and offer your services. If you are an e-commerce company, we suggest registering in the country with which you do the most business. If you are a Canadian company, we highly recommend starting with the Canadian application and if you are a US business, filing in the US first will probably be the best choice. We can file your trademarks for you in Canada, US, and the European Union and will use foreign associates for other countries. As we have a good working relationship with them, we will be able to pass the discount to you. Limited budget? Start with filing your trademark in your country of origin, and then file in other countries of interest within 6 months of the first application using conventional priority. What does it mean – if you are a US business, file in the US first and then in other countries within 6 months from the filing date. Lastly, if your budget only allows filing a single application, we recommend filing trademark in your country of origin. To open in a new tab, click: Where should I register? Why is trademarking so expensive? When registering a trademark, a large portion of the fee goes towards the agent’s hourly pay. Your fees also pay for the agent’s rent, advertising, staff, and office equipment. Being that we are a small company, we’ve taken every opportunity to cut our costs in order to pass savings to you. We’ve taken the necessary steps to provide you with the best prices. In today’s market, you have to be very competitive, and our rates help us stand out. We noticed that most companies charge $800-1200 for trademark filing and way over $2000 for each all-inclusive trademark registration and decided to offer our services at a quarter of industry prices. All applications are reviewed by a registered trademark agent to ensure the highest level of quality. To open in a new tab, click: Why is trademarking so expensive? When I register a trademark for one type of goods or services, do I get exclusive rights to use that trademark for all goods and services? Trademark rights are limited to the goods or services for which your trademark is registered. While you may have exclusive rights over your mark for certain goods or services, another company may legitimately use the same trademark for goods or services which are not similar. For example, you may have a trademark FOREVER GREENY for garden tools and another company may register a trademark for FOREVER GREENY for mining software or gas station. As the industries are unrelated, there is no confusion so mark can co-exist. Most countries follow the system of International Classification of Goods and Services which divides goods into 34 classes and services into 11 classes. You may apply to register your trademark in more than one class. Please note that some countries require separate applications for each class of goods or services (Mexico is a notable example). To open in a new tab, click: When I register a trademark for one type of goods or services, do I get exclusive rights to use that trademark for all goods and services? Can I pick somebody else’s registered trademark for use? If you pick somebody else’s trademark and use it to market and sell your products or services, it may be considered trademark infringement. Trademark infringement is a strict liability offense. What this means is that whether you intended to infringe or not is irrelevant. For example, if you didn’t know that there was a registered trademark and used it to market your products, hence, you infringed on a registered trademark and you are liable. Also, if you believe your use of somebody else’s trademark is fair use, but it isn’t, you’re liable. Lesson to learn: always do a proper trademark search before selecting a trademark for use and registration! To open in a new tab, click: Can I pick somebody else’s registered trademark for use? Can I use a trademark if it has been cancelled, abandoned or expunged? Even if a trademark is expunged, it doesn’t mean it’s no longer in use. If the trademark in question is still used by the owner, then he/she may still have common law rights. That means that when you file your trademark application, once it’s published for opposition purposes, the owner of the expunged registration may oppose registration of your mark on the ground of prior use. And he may win! If you use your trademark without filing for a trademark, then it’s still possible for the owner of the expunged trademark to sue you, again on the grounds of prior use. If the expunged mark is no longer in use, then you should be safely provided there are no other confusingly similar marks. To open in a new tab, click: Can I use a trademark if it has been cancelled, abandoned or expunged?